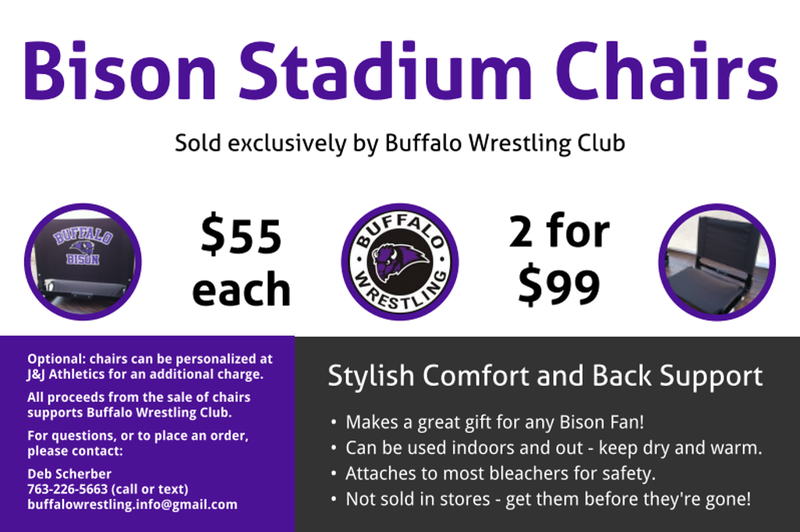 Here you'll find information for all levels of Buffalo Wrestling, including high school, middle school, youth programs, and alumni. Buffalo Wrestling has new State Champs! This update has been almost 30 years in the making… For the first time since 1991, Buffalo Wrestling has a new individual state champion! Riley Habisch capped off a perfect senior season (39-0) by winning the Class AAA 170# State Championship! We are beyond thrilled that his hard work and dedication has resulted in a state title and wish him continued success as he heads to NDSU to compete in Division I wrestling this fall. Erin Bersie capped off her senior season by winning the Minnesota Girls State High School Wrestling Tournament! The event is the official state tournament for high school girls in Minnesota and was hosted by Augsburg University. Congratulations on her three exciting wins that earned her a trip to the top of the podium! Besides the newest state champion for Buffalo Wrestling, for the second year in a row we also have another state runner-up! Ryan Scherber finished his sophomore year as the Class AAA 126# State Finalist, dropping his last match of the tournament to a now three-time state champ from Stillwater. Owen Herbst, only a freshman, made his first ever appearance at the state tournament. He was 0-2 for the weekend, coming up short in some tight and hard-fought battles. The future is very bright for these hard-working and dedicated Bison wrestlers! All are welcome at our next Buffalo Wrestling Club Meeting! Join us Friday, April 12th for a Fish Fry! 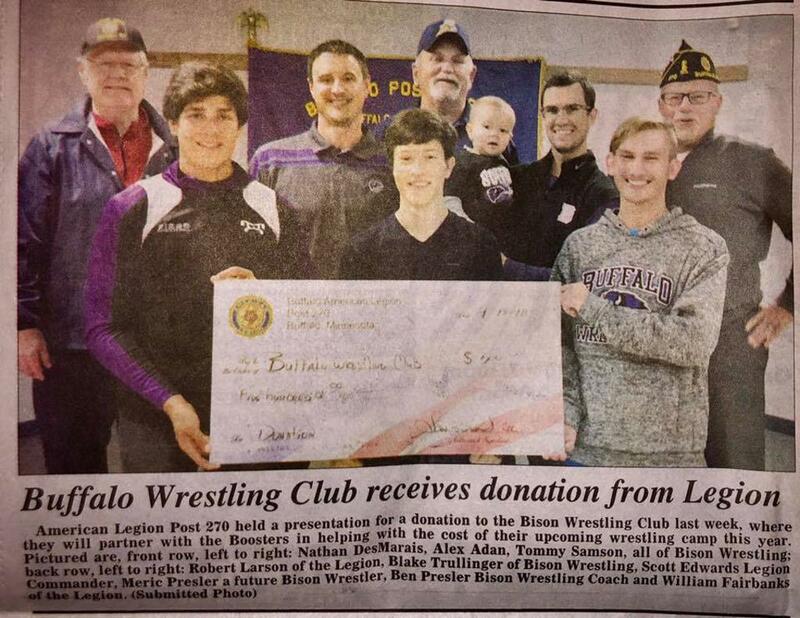 Come support our local Legion in thanks for all the support they give our club… and just maybe your meal will be served by one of our high school wrestlers or coaches! A big "thank you" to the community for supporting the Buffalo Wrestlers who offered to bag your groceries on Sunday, March 24th at the Buffalo Cub Foods. Funds raised will be used in part to offer financial assistance scholarships for the youth wrestling program and to offer our middle and high school wrestlers some unique training camps and opportunities! We look forward to another fun day on the links, golfing and socializing with Buffalo Wrestling alumni, family, and friends! Makes a great gift for any Bison fan! ©2019 Buffalo Wrestling / SportsEngine. All Rights Reserved.